Amid all the greatness at the SAG Awards on Sunday night, one actor teased a project we’re all dying to see happen. 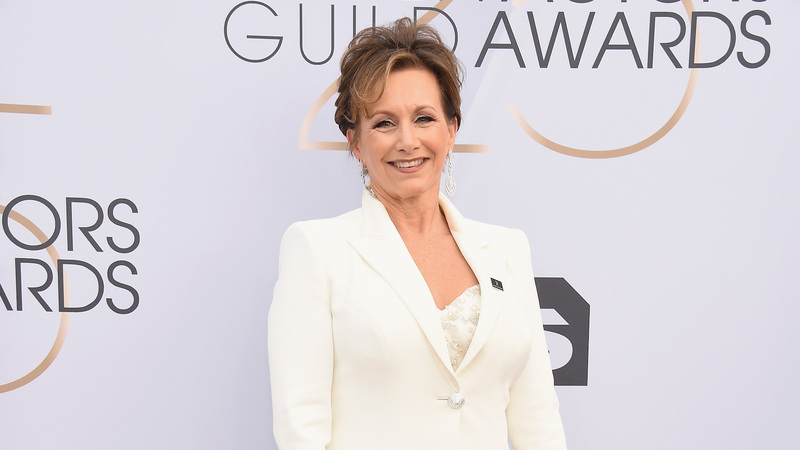 SAG-AFTRA union president Gabrielle Carteris commented on rumors about a Beverly Hills 90210 reboot, though she stayed relatively mum when pressed for details by Entertainment Tonight. Carteris, who played bookish Andrea Zuckerman on the original Beverly Hills 90210, said there have been recent meetings concerning a reboot. “I can tell you that’s true,” she admitted. However, she wouldn’t add much more. “I can’t say anymore than, you know, [that] if you loved us then, may you love us now,” Carteris told ET. These comments are really exciting, especially coming on the heels of cryptic updates from Carteris’ castmate Tori Spelling. The Wrap reported in December that the new series, which will include several members of the original cast, is still early in the development process. At the time, it hadn’t even been attached to or picked up by a network yet. With Spelling and Carteris creating a small chorus of voices talking about the reboot, we’re hoping to get more information about it soon.